Royal Buses (Eastwood) Summer operation on the 33 with new timetables for the 44 and 55. Other Details: Vary timetable for one day only for the Lafrowda Festival. First Kernow are pleased to announce that we will again be offering additional services to the popular Lafrowda Festival on the 21st of July. 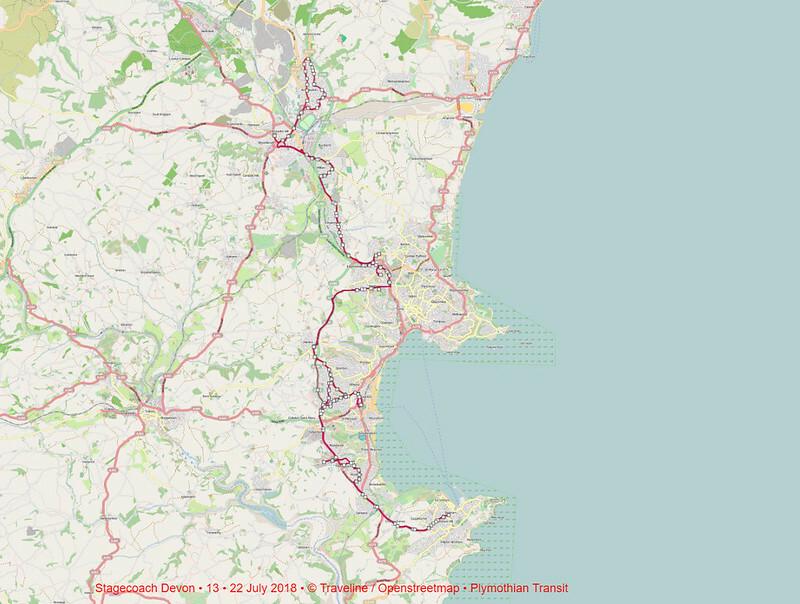 The service 810 will operate at peak periods of travel between St Just & Penzance in between our normal A17 services. This seems to be quite a major change for the 13 and 88 group of services. Not knowing the area that well are there big cuts hidden in the details or is it an improvement on what went before? 05 JUL 2018 Other Details: To revise Monday to Friday afternoon timetable. Due to Newton Abbot College time changes. Starting 22 July we are introducing new timetables on our 13 and 88 bus routes. They take into account new housing developments in the area and changing travel patterns, alongside customer feedback following a public consultation earlier in the year. 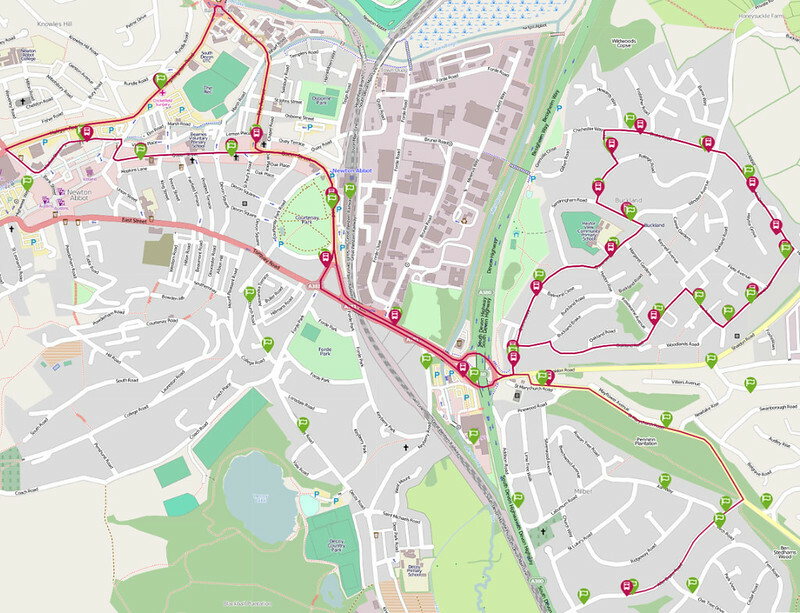 Route 13 will extend to Kingsteignton to provide additional capacity during busy times and create new, direct links to The Willows, Torbay Hospital, South Devon College and Brixham. Journeys from Newton Abbot towards Aller will serve Torquay Road and East Street instead of the train station. 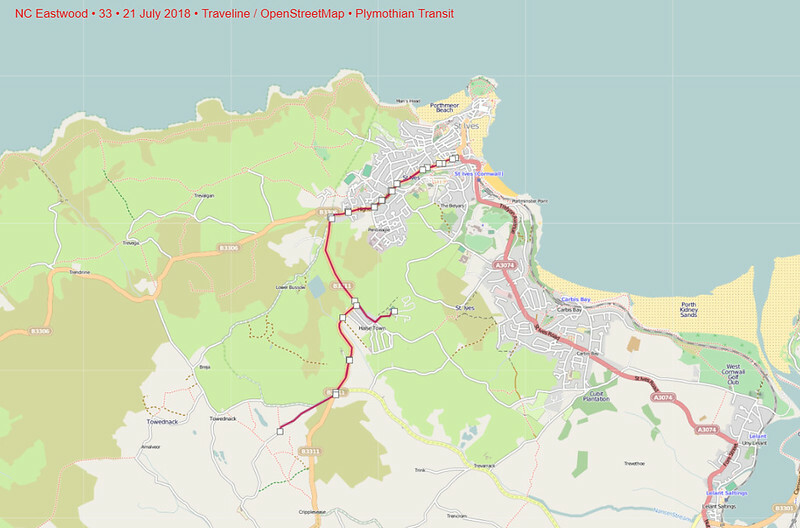 There will be changes to the route between Brixham, Paignton and Torbay Hospital to restore many of the links previously provided by Local Link route 67. 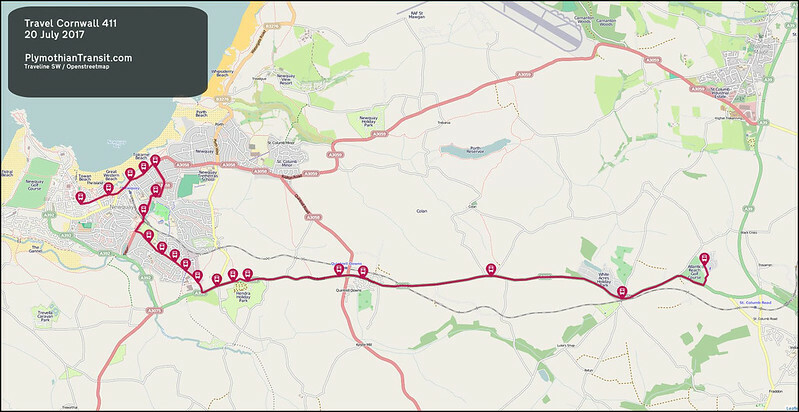 Buses between Brixham and South Devon College will run on their existing route. After this, they will then use Waterleat Avenue, Colley End Road, Paignton Bus Station and Marldon Road. Customers for Foxhole can connect onto the ‘Fox’ at Colley End Road and Marldon Road. Brixham departure times will coordinate with our 18A service. To make the connection as easy as possible, the bus stop is moving from Bolton Street to Bank Lane so buses stop right next to each other. Buses will run hourly throughout the day instead of every 2 hours and the current variations for particular school and college flows will remain in place. The new route 88 timetable merges routes 70 and 77 in order to create a cross town route that runs every 30 minutes between Buckland and Mile End. Buses then continue to Ashburton and Totnes every hour creating new links to the railway station. This one is repeated here as when this was last published there were no up to date timetables available! Our new Quayside service will be starting on Friday 6 July and will run on Friday and Saturday evenings and all day Sunday. Details of the new service were confirmed last week by Exeter City Council who, along with the Environment Agency, Devon County Council and the Exeter Quay and Canal Trust, is funding the 6 month trial. The Quay service will form part of the H route and all partners involved hope the improved connections between the city centre and the Quayside will be of benefit to visitors, residents and employees of local businesses. Journeys from the city centre will start from 1821 on Friday and 1830 on Saturday with the last service back from the Quay departing at 2315 on both days. On Sundays, the first journey from the city centre will be at 0823 with the last service leaving at 2245. Buses will also call at St David’s Station in both directions. The timetable for the G bus route (Hamlin Gardens – City Centre – the Quay) will remain unchanged. The 13 route bus changes are an improvement as currently the service only runs every two hours. Stagecoach would have appeared to have done this as there has been pressure from customers and the local councils to improve local transport links to Torbay Hospital from Kingswear & Dartmouth, Brixham and Paignton town centre. The link between Kingswear/Dartmouth and Torbay Hospital has been improved by making it so customers can get off the 18a, (Kingswear and Dartmouth) and get straight on to the 13, (Torbay Hospital), without having to cross two main roads to the other bus stop and with the two services connecting at Brixham. This has become a pressing issue, because the local hospitals in each of those towns have been recently closed or had the number of services that they offer drastically reduced. 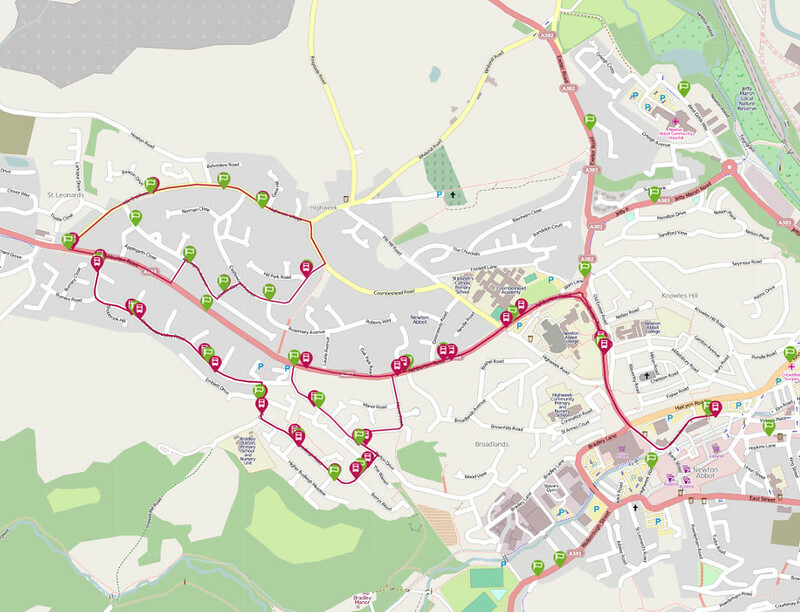 The problem is that although the main 12 bus goes past the hospital every 10-12 mins from Brixham and Paignton town centres, customers are left with a long uphill walk into the hospital itself which many cannot manage. Foxhole residents will loose their direct connection but can connect by using the Fox bus which runs every 10 mins or so. I suspect that Stagecoach are hoping to get more passengers onto the 13 route as a result because apart from the school & college runs, it does not appear to be the best used of routes at the moment! 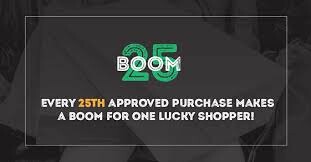 I just hope that it works out for them as it would appear to be quite a gamble on their part but hats off to them for listening and trying. As far as the 70/77 changes are concerned, it would appear that they are trying to merge three under-performing routes into one. The 88 customers will presumably lose out because now the journey will take longer because instead of going directly the bus will wiggle around the housing estates instead and the customers on the 70 will only get one bus every 30 min rather than every 20 mins and customers in Ashburton will loose their half hour bus service to Newton with it becoming hourly but I guess they still get a bus service! 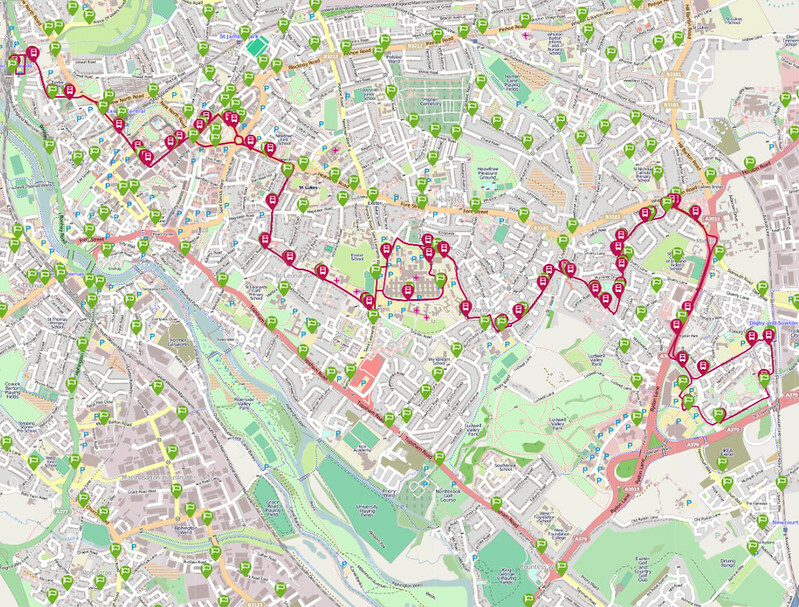 It would make sense from Stagecoaches point of view as it would by my reckoning reduce the number of buses required for the routes by at least 1 bus if not 2, and hopefully will mean that 3 under-performing routes will become one profitable route. The changes to the 13 are improvements - in general. The service will become more frequent; basically hourly Monday-Friday although there are still variations and gaps to cater for school and college flows. 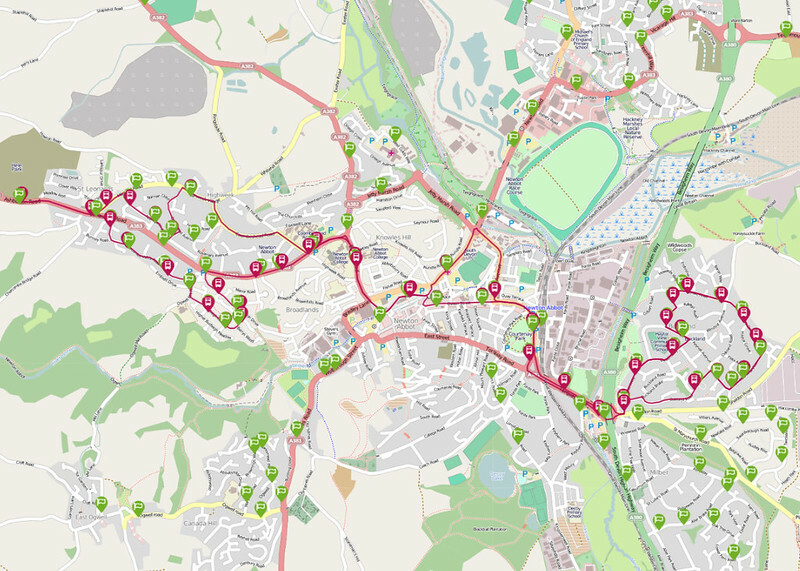 The extension from Newton Abbot and Ware Cross also supplements the 2 and provides more buses for Kingsteignton and Sandygate. 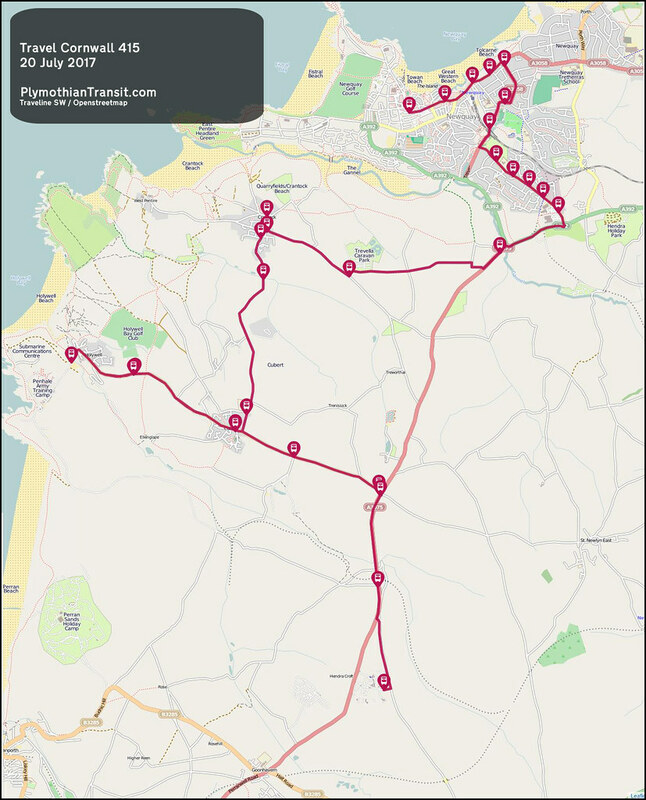 The Monday-Friday service is also rerouted via Paignton Bus Station, restoring some of the links lost when Local Link route 67 was withdrawn last April although this does mean the route will no longer operate through Foxhole Estate. There is also a change to the terminal arrangement in Brixham; buses will terminate/start at Bank Lane to afford easy interchange with the 18a to/from Summercourt and Kingswear. The Saturday service will be hourly between Ware Cross and Newton Abbot, and two-hourly on to Paignton. 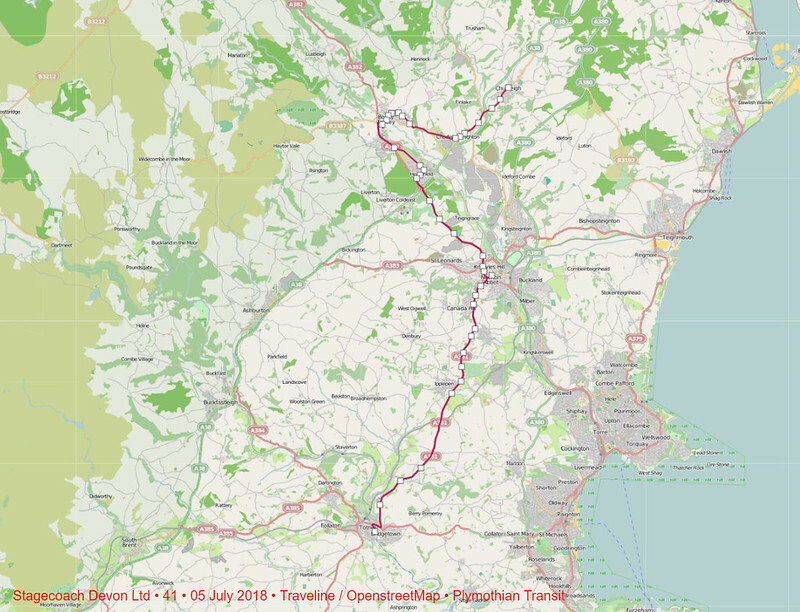 The "hidden cut" is that the Newton Abbot Town services 70 (Highweek) and 77 (Buckland), which both operated up to every 20 minutes, are withdrawn and replaced by the 88 and new 88a on a combined frequency of every 30 minutes.